Eduardo Pisani, who has been IFPMA director general for the last seven years, said it is time for him to move to a new challenge, according to an IFPMA press release. “I am proud of the recognition and trust that IFPMA has built in recent years, thanks to a strong record of accomplishments, in particular on public policy issues, where we constructively engaged with different institutions and organizations, in the fight against neglected tropical diseases, the implementation of the Pandemic Influenza Preparedness Framework, the enhancement of the WHO pre-qualification process, an engagement plan for the prevention and control of non-communicable diseases, and the facilitation of an industry platform on antibiotics,” he said in the release. Pisani will remain in his role as director general at IFPMA until 31 January 2017, “to ensure a smooth handover and continuity with his successor,” it said. IFPMA represents research-based pharmaceutical companies worldwide. 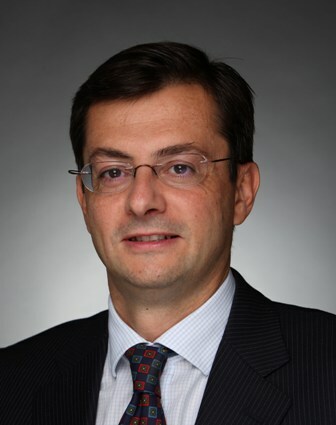 This announcement follows the departure earlier this month of Mario Ottiglio, who left after 9 years as IFPMA director of public affairs, communications & global health policy (IPW, Public Health, 1 November 2016). "Eduardo Pisani To Step Down From IFPMA’s Helm In January" by Intellectual Property Watch is licensed under a Creative Commons Attribution-NonCommercial-ShareAlike 4.0 International License. Massive performance & contribution from Eduardo. Here’s to his next opportunity to shine and make a difference.